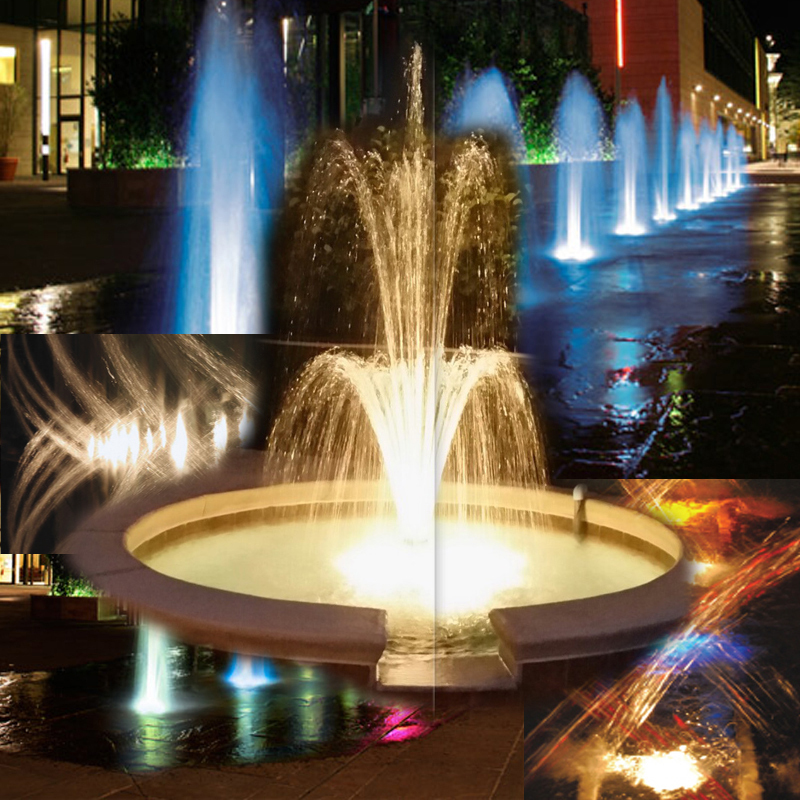 The RENA OEM 4-LED light kit makes a wonderful addition to any small container garden or fountain. The transformer with moisture protective cover has 4 outlets. 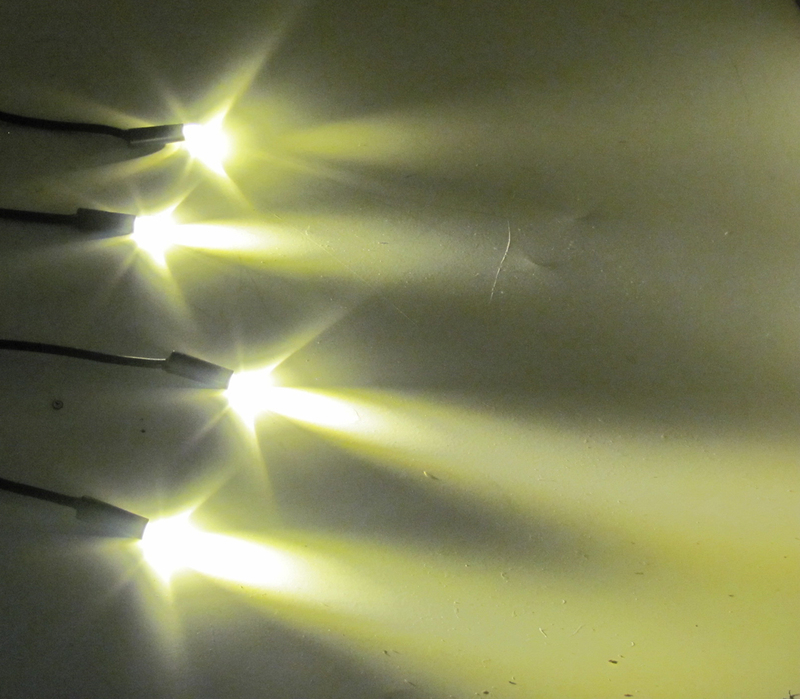 Each has one warm colored LED bulb. 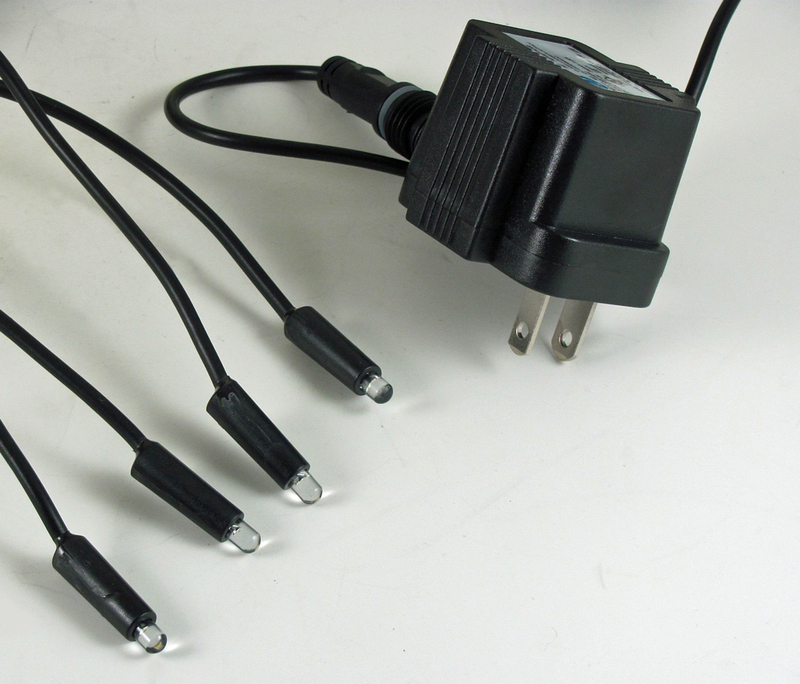 The 4-way splitter allows up to 4 individual cord/bulb sets to be mounted both under water and externally. Mounting is easy. Just drill a 1/4-5/16" hole on any surface and plug the bulb sets into the hole. Placement of the bulb in the hole will determine light radius. They can also be mounted externally in the bottom of the container giving a small glowing area underwater. Use silicone or other adhesive to attach.